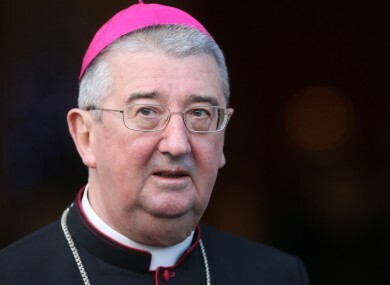 ARCHBISHOP OF DUBLIN Diarmuid Martin is still involved in “ongoing” discussions with the Sisters of Mercy over the Mater Hospital’s stance on the new abortion law. In October of last year, a priest resigned from the board of the Mater Hospital in Dublin over the hospital’s decision to comply with the government’s abortion legislation, the Protection of Life During Pregnancy Act. The priest, Father Kevin Doran, told the Irish Catholic at the time that he could not reconcile his own conscience with the hospital’s decision. A spokesperson for Archbishop Martin said yesterday that there has been no conclusion to the talks between him and the Sisters of Mercy. In its statement last September, the Mater Hospital said that following ‘careful consideration’ of the new legislation, its priority is to be at the “frontier of compassion, concern and clinical care” for all its patients. Having regard to that duty the hospital will comply with the law as provided for in the act. The Mater is one of the 25 ‘appropriate institutions’ named in the Protection of Life During Pregnancy Act where legal terminations can take place under the provisions of the act. Martin is believed to have entered discussions with the Sisters of Mercy seven months ago on the issue. Email “Martin still in discussions with Mater's Mercy Sisters over abortion law ”. Feedback on “Martin still in discussions with Mater's Mercy Sisters over abortion law ”.